Here is a complete YouTube video of the 3/23/11 meeting of Northampton’s Board of Public Works. The board votes to authorize lower tipping fees at the municipal landfill to better compete with other waste disposal options in the region. One large customer in particular, Duseau Trucking, has virtually stopped using the landfill. The Department of Public Works would like to entice them back. This recording is 1 hour 50 minutes long and was made by Craig Odgers. 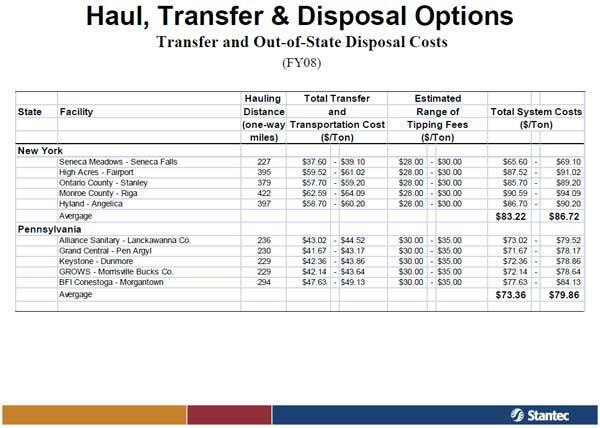 It would seem that Northampton could ship its trash today to Seneca Meadows – Seneca Falls, NY for a cost that’s comparable to the fee the Northampton landfill currently charges its commercial customers.